Who doesn’t feel super once and a while? Join us as we explore how the For-Mar Natures Superheroes help connect park visitors and young people in the community to nature. At For-Mar Nature Preserve and Arboretum, a Genesee County Park and Recreation, there is a seasonal Tale on the Trail featuring the For-Mar Nature’s Superheroes, The Preservers! Each year Park Naturalist Nicole Ferguson, Horticulturist Brian VanPatten and Outreach Coordinator Courtney Prout work with a local artist, Randy Zimmerman, to develop a brand new story and comic illustrations to bring the conservation messages to life in a super charged way! We will use an interactive presentation to follow the steps in the creation process from brainstorming a concept to story line development and curriculum links to taking the tale ‘On the Road’ to Genesee County schools. During this session you will even get the chance to hike our traveling trail and get your own comic book to take home. 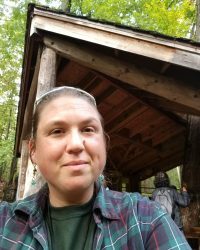 Courtney Prout has been an enthusiastic naturalist for six years and the Environmental Education Outreach Coordinator at For-Mar Nature Preserve and Arboretum (Genesee County Parks and Recreation) for two years. 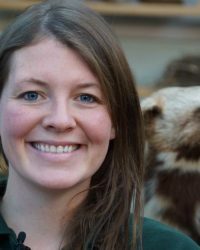 Courtney has an Associates of Applied Science with a concentration in early childhood education and several years of experience helping learners of all ages, stages and abilities connect with nature. Courtney finds joy in finding opportunities to help folks in surrounding communities create positive lasting memories in parks, or in their own backyards. Nicole Ferguson has been part of the For-Mar Nature Preserve and Arboretum team with the Genesee County Parks and Recreation since 2012. Nicole has an Associate’s Degree in Natural Sciences and General Studies for Mott Community College, a Bachelor’s Degree in Environmental Biology and Zoology from Michigan State University and a Master’s Degree in Education from the University of Michigan-Flint. Nicole prides herself on building partnerships within her community in order to create unique educational experience that bring people together in their parks.